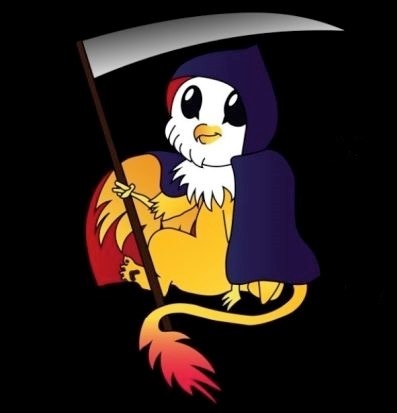 5th-7th April 2019 saw Conpulsion: Death convention in Teviot Row House, Edinburgh University. 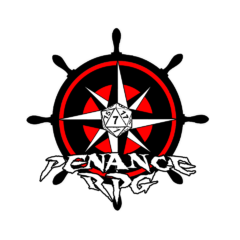 It also saw Penance RPG get to play with plastic swords (zweihanders) and give our very first seminar/panel! 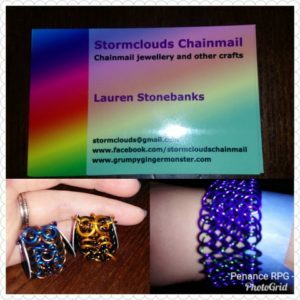 Over the same weekend, in Edinburgh, there was also a mini con at Red Dice Games cafe in Leith, in the North East of the city and Edinburgh Comic Con! We managed two of the three events. Conpulsion saw some great traders with a range of wares, as well as a successful bring and buy. In particular, Stormclouds Chainmail stood out with some stunning pieces – the owls are exquisite and will be a part of our next giveaway! This was on top of two indie games creators/producers – Handiwork Games with several of their smaller games (including one by the owner’s 9 yr old son, Rory) and Lost Pages who created Chthonic Codex. Several games were also being demo’d and there was a very informal games lending and playing space. 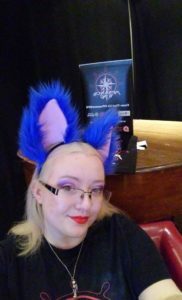 A range of sign up on the day RPGs were held, including 5 marked as child friendly on the saturday and those with mature content clearly marked in the program and sign up sheets. The child friendly games were played in the main venue while the others were held in a cafe in a different building. 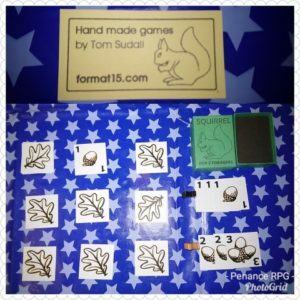 This is a fantastic way to make sure that attendees (of any age) can take part in games that are suitable in content and allow them to enjoy playing. 38 other RPGs and 2 LARPs were over the weekend, allowing attendees to try many new systems and settings. 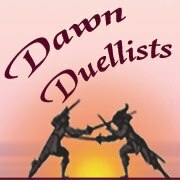 On the Saturday, the adventurous Dawn Duellists Soc gave a talk on ‘How To Stab Someone And Get Away With It’ (mediaeval laws only!) during which Dragon tried very hard to give only a few small points. As well as their talk, they were also demonstrating and letting people try some basic sword play with plastic swords. 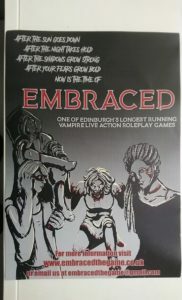 This was great fun and unsurprisingly, much laughter and stabbing occured. The Sunday saw us give a seminar on ‘How To Make Your Own Homebrew RPG Engine’. This included an excellent discussion with the guys from Lost Pages. Despite nerves, this seemed to be well received and we’re grateful for having a fab audience. Overall, Conpulsion was fun with a surprising range of games given its small size. 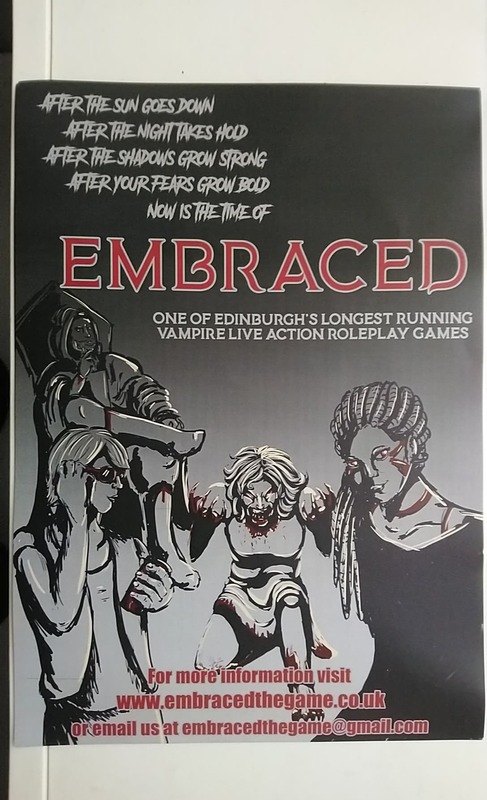 It is organised and run by The University Roleplaying Society and donates profits to local charities – this year was The Grassmarket Project. It suffers somewhat from a lack of social media promotion of the event, and the programme was only published a few hours before it opened on the Friday evening. Games being sign up on the day helped to mitigate the lack of planning that attendees could do in advance, but it was still difficult to plan your day fully. The venue was lovely and had lots of space and tables, places to eat etc. Being held in the Easter holidays meant that there was lot of space for attendees. Disability access inside the main venue was excellent, with a large lift* and disabled loos next to the lift on most floors. There were steps to get into the venue, but there may have been another entrance that we didnt see. We made it to Red Dice Games on the Saturday late afternoon – a lovely games cafe we hadn’t visited before. 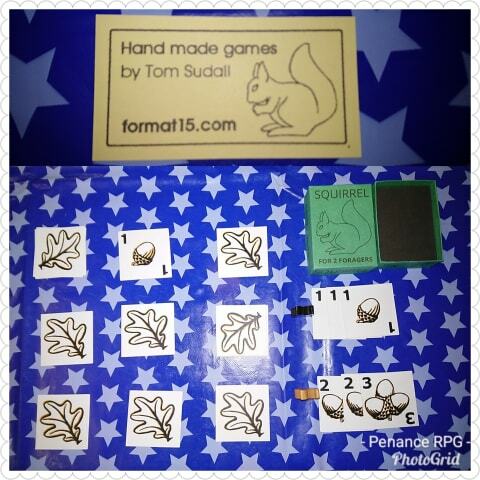 Found lots of board games we hadn’t seen before and got to play a demo of ‘Squirrel’ by Tom Sudall at Format 15. Its adorable and a quick, matchbox sized game. 1st Player Token were also there so keep your eyes out for interviews and chat about the weekend from them. 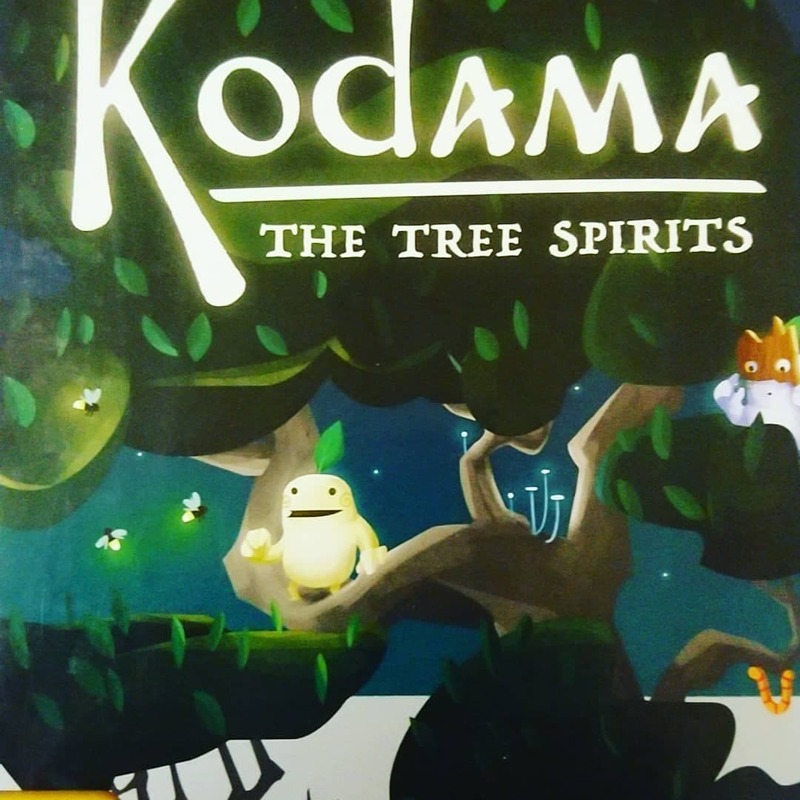 We had a well earned rest playing Kodama, an adorable and thoughtful game. 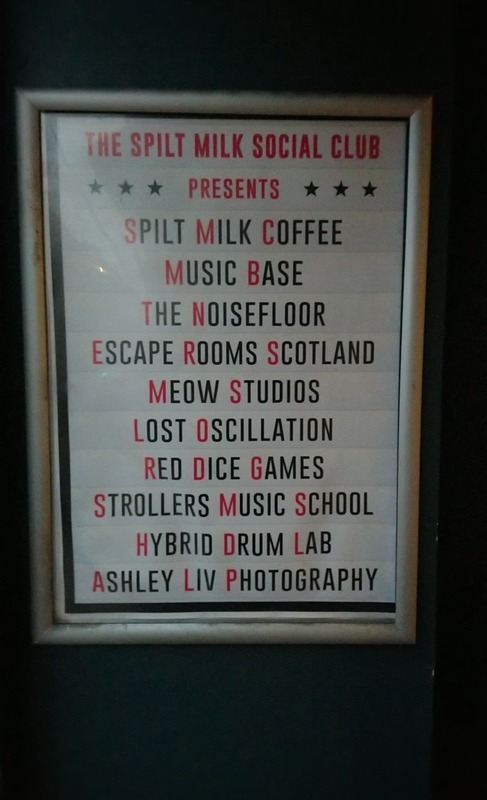 If you’re having any issues finding them, the games cafe is reached through The Spilt Milk Social Club, which also houses a number of other interesting small businesses. The cafe is accessible with a lift and easy to navigate doors. 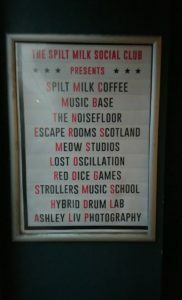 Red Dice Games is a fab games cafe, definately recommend you give it a visit if you live in, or are visiting, Edinburgh. They have a lot of board games and several large tables for war gaming, as well as selling models and paints. Lovely and knowledgable staff make spending time here delightful, and you can always get a a coffee if you don’t fancy the game everyone else is desperate to play!